to buy rice, cooking oil, and sugar, etc. to stock his store. Carlos Alberto benötigte 700 US-Dollar, um ein Gewerbe im Bereich Handel auf- oder auszubauen. Das Geld wurde gesammelt und für Carlos Alberto bereitgestellt. Carlos is single, and he lives with his parents and his siblings. 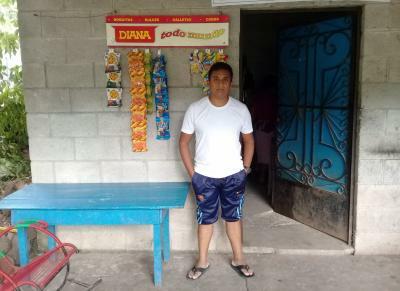 Carlos has a small store where he has been selling basic products for two years. He has the business at his house. He will use the loan to buy rice, cooking oil, milk, and sugar, etc. to stock his store. Carlos dreams of his store being the biggest in the community where he lives.